Acquiring a retaining wall builder to construct your retaining wall guarantees that a certified professional who has the right skill set, experience, and knowledge is the one handling your retaining walls project. An expert retaining wall builder Hobart is fully aware of the challenges of having to construct a retaining wall and has the right mindset for the job. Moreover, a professional builder is also aware of the permits needed before the project can commence. A retaining wall builder will make sure that your wall will be durable and long-lasting. Depending on the type you want, professional retaining wall builders can also offer advice on the best materials, tools, and equipment needed for the project. They will then utilise their expertise and skill to build a retaining wall that’s made of only the best quality material, ensuring that it will both last longer and look beautiful at the same time. A retaining wall is a big project. That’s why you can’t just do it yourself without the right knowledge and skill. You might end up buying different kinds of tools, materials, and equipment without realising that you don’t know how to use them. That means you’re wasting both money and time. So don’t take that route. Instead, use the expertise and skill from a certified retaining wall builder Hobart and ensure that you will only purchase the necessary materials. A professional will also make sure that you’re not wasting both precious resources and can guarantee that your retaining wall will look amazing at the end of the day. 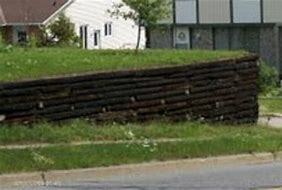 When it comes to retaining walls, you should never resort to DIY. If you don’t have the skills and knowledge on how to build a retaining wall in the right way, it’s better if you just let a professional retaining wall builder handle the job for you. Not only will it cut down the expenses but it will also ensure that your retaining wall will be made of high-quality materials, is guaranteed to look fantastic, and will even last longer.